The Infographic below shows how the company’s projected valuation of $100 billion breaks down and which Facebook Friends will be getting a piece of the pie. 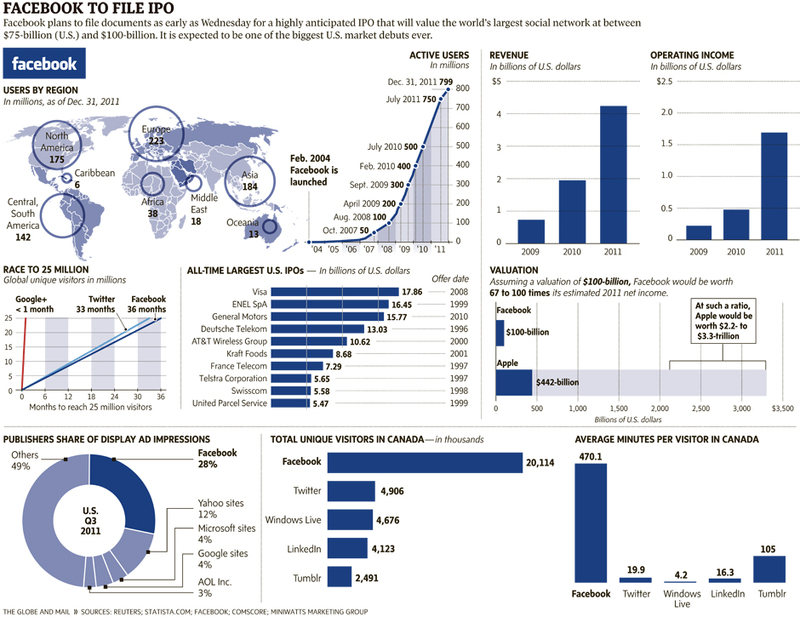 Facebook’s IPO will be the biggest of any tech company in history — six times that of Google’s, according to Accounting Degree Online. Click on the infographic below for a larger size.